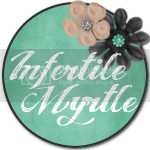 The Infertility Overachievers: Finally some IVF news! Well it has been a while since I have written anything on here. Things went from really boring to super busy in the last week. Mike and I had our little pre-IVF weekend getaway in Charleston. The first night we were on our own and went to dinner and a movie and the second night was his company party. The party was awesome and his company did a great job putting it together. There was that ONE wife who got way out of control though. She hit on Mike right in front of me. Her husband was sitting right there too, and he didn't say a word when she did it. I am not convinced they weren't swingers trying to bring us in on a little something. It was just weird, Weird, WEIRD!! Don't worry I let her know she had crossed the line, ok so I said a little lot more than just that, but she definitely got the point. Besides that, the weekend was great. It was way too short, but really relaxing and much needed. My favorite part was randomly taking a nap in the middle of the day. Not a planned nap either, it was the kind of nap where you just happen to fall asleep watching TV and wake up whenever you feel like it, not when you hear a little voice through the baby monitor. IT WAS GLORIOUS! Now onto the infertility front, I finally have something to write about. I GOT MY IVF SCHEDULE!! Yes after 6 months of waiting, they finally gave me some dates. I was a little disappointed by them.. I guess my RE's office is not doing a real January cycle after all. I will take my last birth control pill on January 31st, then start my stims (shots) on February 6th. Tentative ER scheduled for February 16th. Beta (blood pregnancy test) March 3rd, And if all goes well a November 9, 2011 DUE DATE!!! It's going to be one crazy 2WW. My 30th birthday is February 26th and London's 2nd birthday is February 28th. Yes, I will be taking a ton of pregnancy tests during that time. Starting at probably 7dp3dt which was the first day I got a faint line last cycle. Fingers crossed for a great birthday present for BOTH of us this year. I better get going I have a lot of stuff to get done today. First up, cleaning up and unpacking from the weekend. Go check out my newest giveaway, you could win a $35 GC to CSN Stores. CLICK HERE to enter! How exciting you got the IVF schedule!!! Yay!!!!!!!!!!!!! So exciting that IVF round 2 is coming up so soon!!! I'm so excited that you have a schedule! Best of luck for IVF #2!! Yay!!! That is super exciting news! Hopefully you'll be cuddling a new little one by next Thanksgiving! Super exciting! My fingers are crossed for you! Congrats on getting a schedule, I'm so excited for you! Yay for a schedule! It's about time. Though...the timing is a bit stressful. At least you will get all kinds of distractions during your 2ww! Aww that is great! Congratulations! 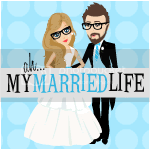 I am new to your blog! and a new follower! I'm a brand new follower who is also TTC. Super exciting news! Yay! You have a schedule! It is reassuring, isn't it?